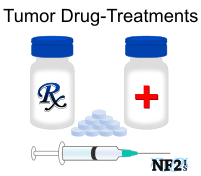 Documentation on NF2 states, NF2 results in specific tumor types we are all aware of, Juvenile Cataracts and "Other Optic Abnormalities". Few papers say what the "Other Optic Abnormalities" actually are. They are primarily speaking about Combined Hamartoma of the Retina and Retinal Pigment Epithelium (CHRRPE also known as CHRPE) which can start to develop in early childhood like Juvenile Cataracts tends to. 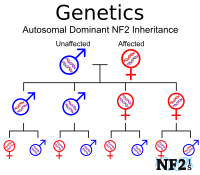 Later in life many people with NF2 develop other issues, which are also uncommon for people who do not have NF2. But CHRPE and a long list of other possible NF2 Eye Issues could be the reason for the vague statements of Other Optic Abnormalities. The simplified explanation of CHRPE, is when benign glial cells grow between the Retina and another layer called the Retinal Pigment Epithelium (RPE). 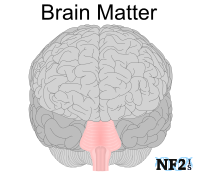 This CHRPE issue only occurs with people who have NF2 and is never seen for any other reason. 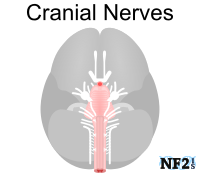 Many with NF2 have CHRPE and it would not be a possible diagnosis by a regular Ophthalmologist examination, but would be as a part of a Neuro-Ophthalmologist examination. Few people who have it know they have this, but at early stages it likely does not matter and its likely something just noted in our medical record. 1. Other Issues or More of the Same? 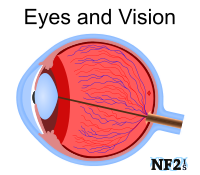 For individuals with NF2, some eye issues being experienced by a few and diagnoses were said to be Horner's Syndrome, Adie's tonic pupil and Diplopia. It could be, and I the author could be wrong, what we're seeing of Horner's Syndrome and Adie's tonic pupil diagnosis' are really just later stages of CHRPE. As these glial cells growing, restricting and take our vision over time, possibly at different rates from one eye to the other. Sings eyes dilate in different lighting situations, it could easily result in unevenly dilated eyes. This would explain Adie's tonic pupil which is only eye dilation. Does this still make it Adie's tonic pupil or are there additional issues for it to be concerned about? Horner's Syndrome more people with NF2 have heard of; is defined as Eye Dilation and Droopy Eyelid, but eyelids do this as a result of any amount of Facial Nerve issues, which is common for people with NF2. 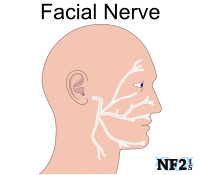 Facial Nerve issues for NF2 are the results from tumor growth on the Vestibular Nerve if the tumor pushes into the Facial Nerve in the brain. Could it just be that by the time enough glial cells have accumulated to cause pupil dilation that facial paralysis is generally an issue as well, thereby making Horner's Syndrome more likely than Adie's tonic pupil? Does this still make it Horner's Syndrome and as asked about Adie's are there additional issues for it to be concerned about? Horner's Syndrome, Adie's tonic pupil or just CHRPE, the problem is Eye Dilation and / or Droopy Eyelid results eventually in Diplopia, which if not corrected through surgery to retighten the muscle or prism glasses are worn, can result in complete vision loss in one eye. How many times can or should the surgery be done when it develops again? 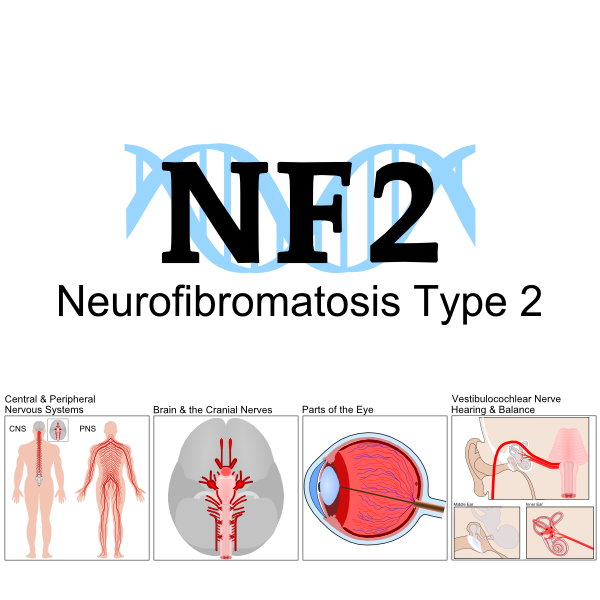 Also with NF2 all individuals should be visiting Neuro-Ophthalmologist every year. 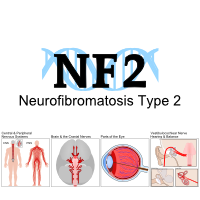 Not just for the issues mentioned here, but for other NF2 specific issues as well that are would not be recognized by an Ophthalmologist. 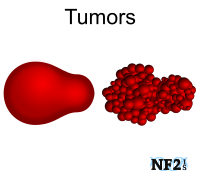 Things like tumor burden pressure can be seen in these exams that might require surgical needs.